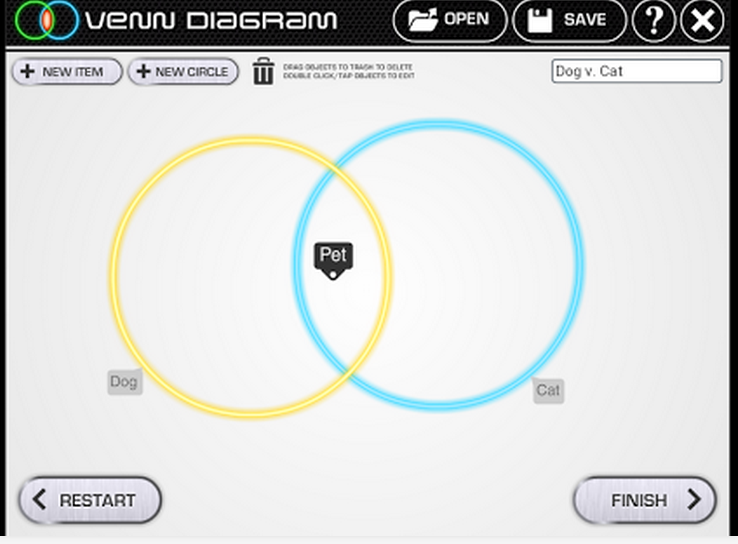 Venn Diagram is an excellent free interactive tool from the popular Read Write Think that students can use to create Venn diagrams that contain two or three overlapping circles. This tool is also available for both iOS and Android. The iPad app is particularly designed for use in the school setting providing students with a simple profile system where multiple users can create their own Venn diagrams on the same device. Students can use Venn diagram to record concepts and organize information in a systematic and logical way. They can pick from several circle colours, and both the circles and item font size can be altered to better align with the users' needs for each project. Students may view and edit their draft diagrams, then print the finished diagrams for reference. In some cases, the Venn diagram tool has been customized to complement a specific lesson or activity.The finished Venn diagram can be shared with others through email.